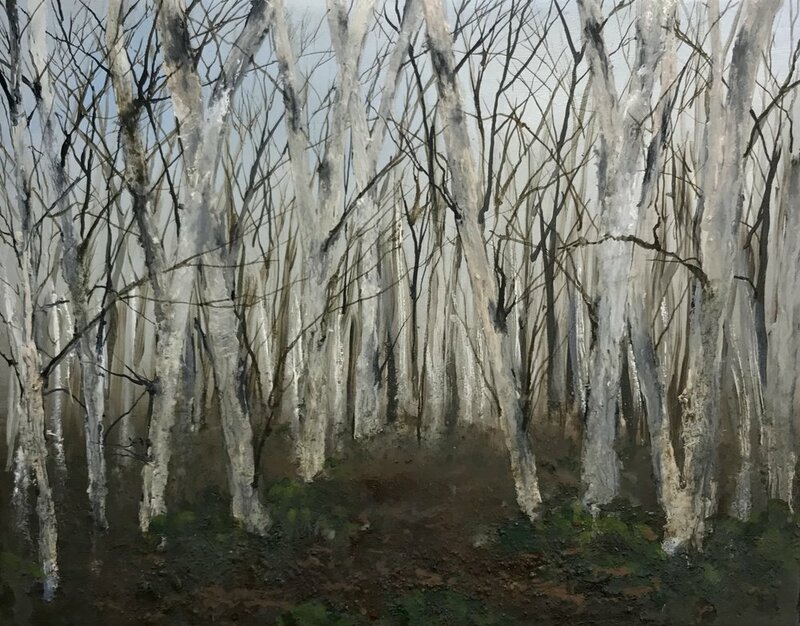 During a particularly harsh winter I decided to live for two weeks at the lowest geographical point of Holme Fen. 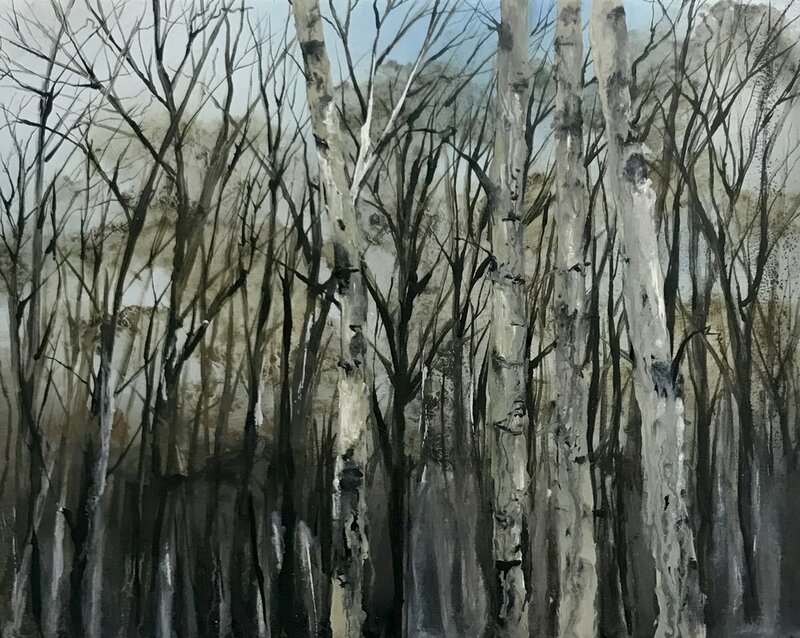 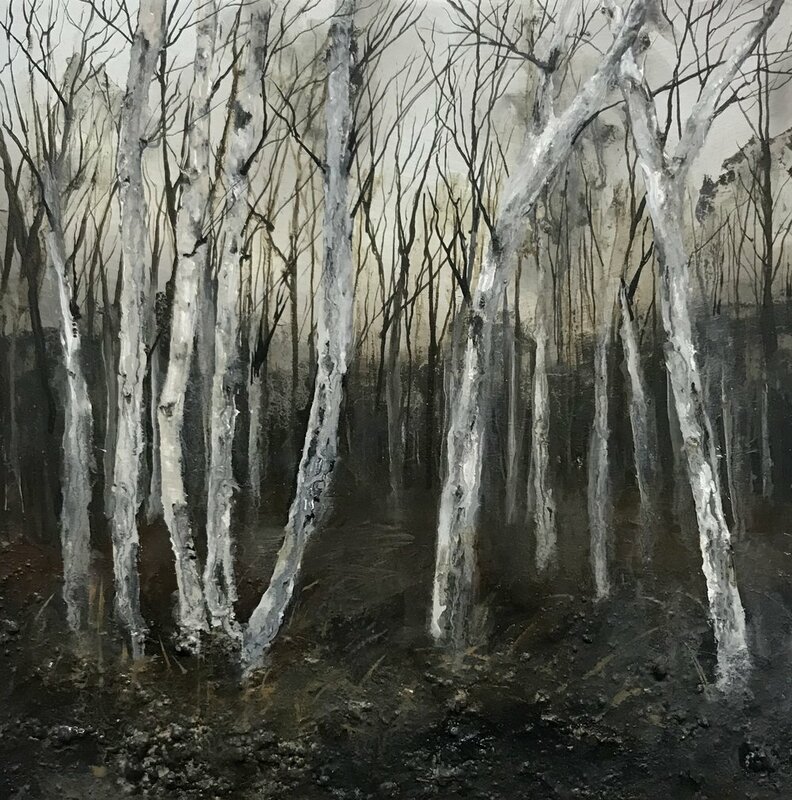 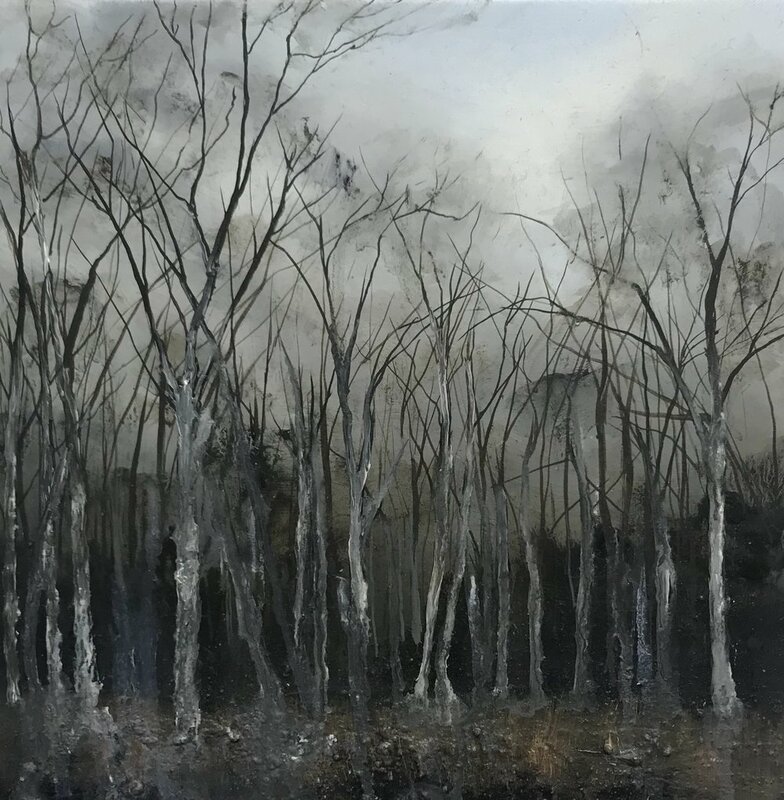 The small collection both in terms of scale and number have grown out of this time of stillness living between the birch tree in Cambridgeshire with the voice of Herman Hesse and his writing ‘Trees’ whispering in the branches. 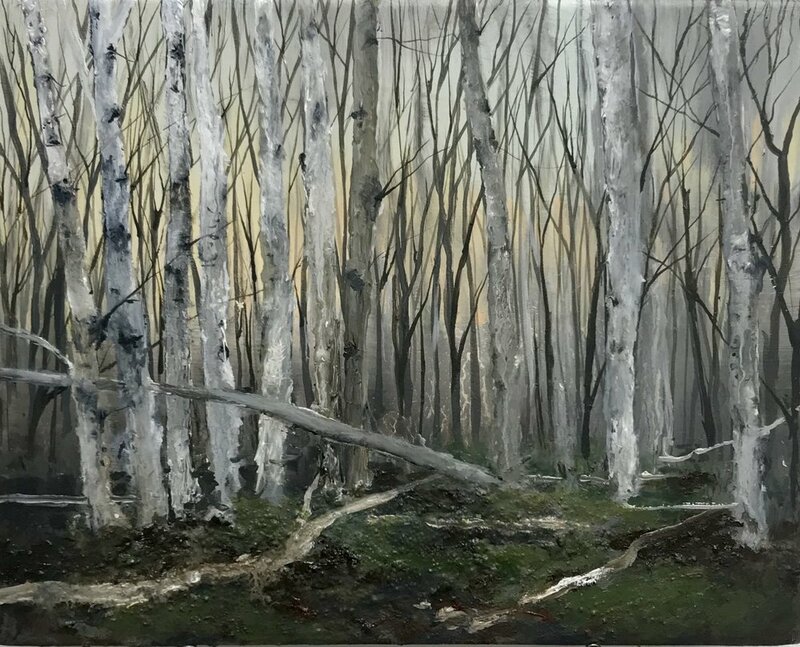 The following four years have allowed the paintings to develop in ways I would not have been able to predict during the time between the trees. 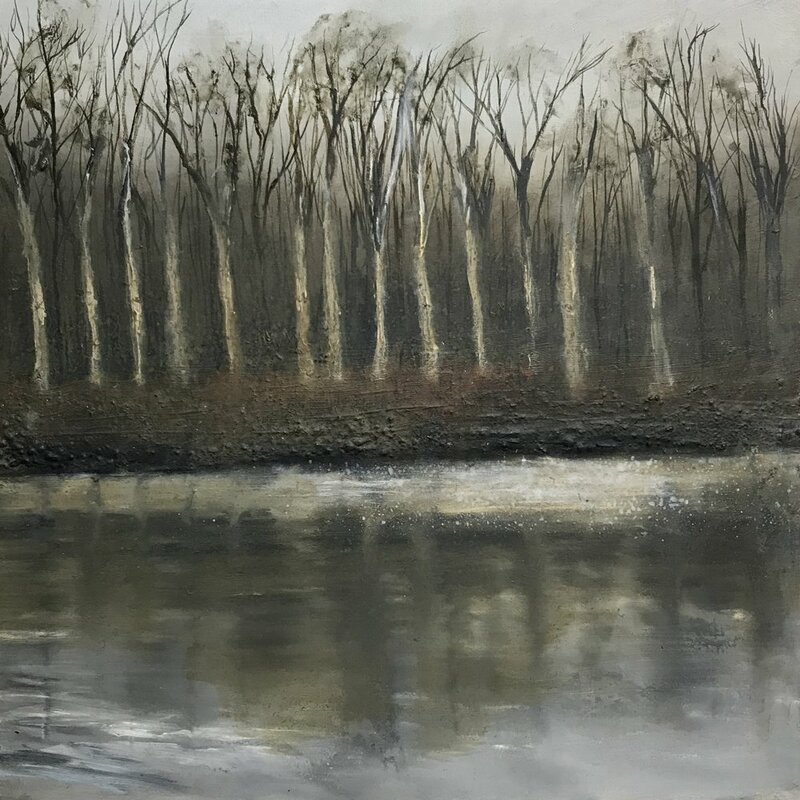 I have listened to what the paintings needed and as akin to the trees themselves they have grown at their own pace, bending, flexing and continuing to develop through the experience of life.